Last year came to an end with some big news for hens in America. In addition to Panera Bread announcing that they had sourced 18 percent of their eggs from cage-free hens in 2014, Starbucks gave us a big holiday gift when they vowed to phase out eggs from hens in cages from their menu. Starbucks even went so far as to say that they will drive towards large-scale solutions through collaboration with other members of the food industry. You may have also already known that, amongst other business leaders, both Panera Bread and Starbucks were already heroes for hens, but both businesses have now stepped up even more by Panera reporting their progress to date and Starbucks promising more for the future! So what will this year hold for hens? You'll be pleased to know that 2015 might be the biggest year yet for laying hens in the U.S. As of Jan. 1, all hens in the state of California are required to have enough space to lay down, stand up, turn around, and spread their wings. But that's not all. All eggs SOLD in the state as well also have to meet the same requirements. So that means that if you buy an egg there that was imported from another state or eat eggs at your favorite morning joint in California, they too come from happier hens. But just how many hens are we talking about here? Well, California is the fifth largest egg-producing state behind Iowa, Ohio, Pennsylvania, and Indiana. The state produces about five billion eggs per year, which is roughly 20 million hens. 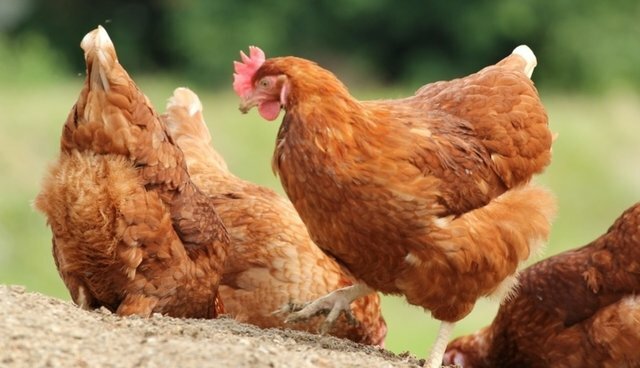 It has also been reported that California imports an additional 20 million eggs per day, meaning that another 29.2 million hens per year living in other states are also spreading their wings with extra room to move. Some of these hens will be a little happier than others, though. While all these hens are guaranteed more space, some businesses have opted to simply use larger cages. Not cool, I know. But you can help. When you're out shopping, make sure you're still looking for cage-free eggs, even if you're in California. Also look for businesses who have committed to cage-free eggs and are reporting their progress so that you know their promises are backed by proof. Don't worry, we have you covered with a few tools to get you what you're looking for. When you're going out shopping, don't forget to download World Animal Protection's egg-buying guide, or if you're dining out, just download our restaurant card to remind restaurant owners that cage-free is the only way to go. With your help, we'll move even more businesses to be heroes for hens in 2015! Join the conversation on Facebook and Twitter using the hashtag #ChooseCageFree. This piece was originally published at World Animal Protection's Choose Cage-Free blog.